Compute a suitable string to display the given date item. MediaWiki's date functions are not applicable for the range of historic dates we support. Compute a string representation that largely follows the ISO8601 standard of representing dates. Large year numbers may have more than 4 digits, which is not strictly conforming to the standard. The date includes year, month, and day regardless of the input precision, but will only include time when specified. Conforming to the 2000 version of ISO8601, year 1 BC(E) is represented as "0000", year 2 BC(E) as "-0001" and so on. Use MediaWiki's date and time formatting. It can't handle all inputs properly, but has superior i18n support. Compute a suitable string to display this date, taking into account the output format and the preferable calendar models for the data. Return the time as a string. The time string has the format HH:MM:SS, without any timezone information (see class documentation for details on current timezone handling). 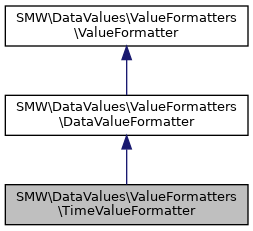 The parameter $default optionally specifies the value returned if the date is valid but has no explicitly specified time. It can also be set to false to detect this situation.